This interview highlights the message of hope found in the first of the the four Gospels. 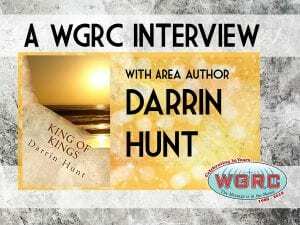 Area author and pastor Darrin Hunt shares about his book King of Kings. The book provides a study of the Gospel of Matthew. The book can be found on Amazon and at the Bible Depot in Sunbury.